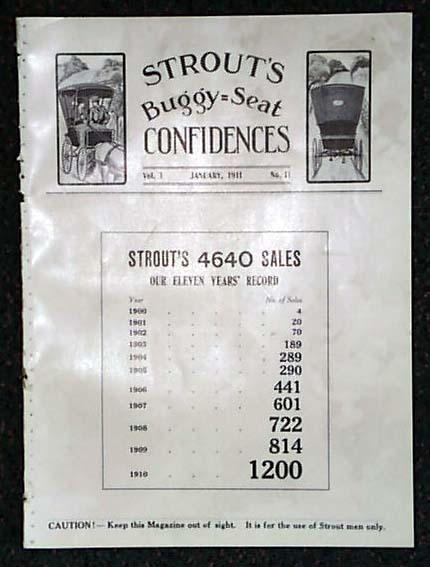 STROUT'S BUGGY-SEAT CONFIDENCES, Boston, Massachusetts, 1911. A curious little publication by and for those working for the Strout real estate company, the "World's Largest Farm Agency". Printed on coated stock. Note that the photo is "generic" and the issue you get will not have this specific date but will have the format as shown. Eight pages measuring 10"x7", a bit irregular at the spine.